This is the same gate as shown below only in 1974. That is body receiving shown in the foreground and mentioned below. 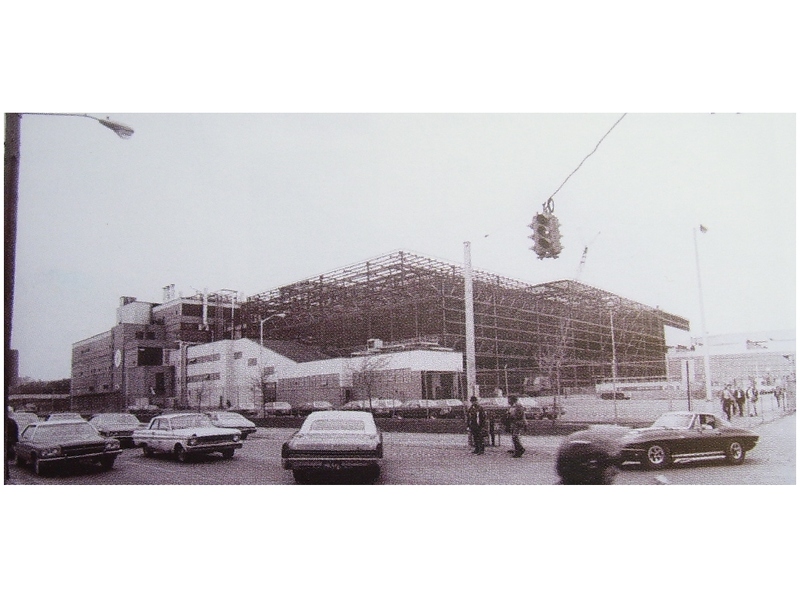 That is factory #44 being built. I entered this gate more than any other in my 30 years with G.M. and it was also my first and last at Buick. This view facing northwest is the same gate as shown in the photos above and below. That is body receiving in the background. I like the sign at left: BEAT OLD AGE &amp; GOUT 30 &amp; OUT. These workers are the reason I am enjoying retirement today instead of laying in a casket. 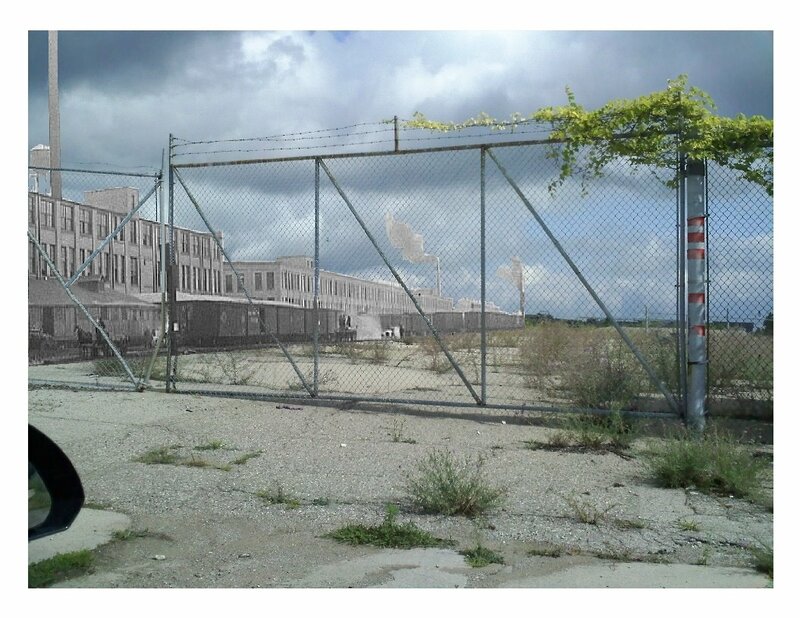 This ghost image shows the Buick factory in 1910 at the same location as shown above &amp; below.